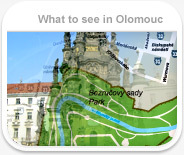 Olomouc-guide.com offers many unique meeting places for meetings and conventions that will give your colleagues/partners/guests the opportunity to experience cultural heritage and natural beauty of the Czech Republic. These locations present not only comfort meeting places but also the chance to play golf, see amazing artwork, delve into European history, and even go for some adrenaline activities. We are happy to introduce thematic package tours that will give you the opportunity to deepen your knowledge of specific aspects of Czech culture. Thematic tours are fully customised according to your group’s requests and specific needs. We will tailor the thematic itinerary of your choice according to the season of your trip, length of your stay and number of persons. The tours can naturally be combined with your business activities. Golf breaks for individuals, groups and companies at some of the most beautiful and unspoiled countryside areas of the Czech Republic. Superb golf courses and hotels without the crowds unpleasantly connected with famous golfing regions. It does not matter whether you are a team of professionals or just a group of people, who would like to have a try on this nice, active and very attractive game, we will fulfill all your wishes. Golf courses are nicely complemented by 3* to 5* hotels to create the atmosphere of a splendid golf resorts and to meet your expectations. In addition, we organize various travel programmes according to our clients’ choice. Olomouc-guide.com offers fully tailored high quality Tennis events for corporate customers in the Czech Republic. Our aim is to be the number one incoming corporate Tennis events organiser in the country. To achieve this we provide you with professionally run events at the best venues available. With our expertise, thorough planning and experience, we are able to create truly memorable and inspiring occasions to satisfy your needs. You may plan a relaxing stay with some coaching services or a high profile tournament, we are happy to do our best for your event to be successful. In cooperation with major Czech SPA resorts, we organize SPA holiday in “all inclusive” format for corporate customers. You may consider inviting your colleagues/partners/guests to discuss some business issues or just relax together. Both wellness and health SPA programmes are available. Your stay might be complemented by playing tennis or golf, or by customised travel experiences.